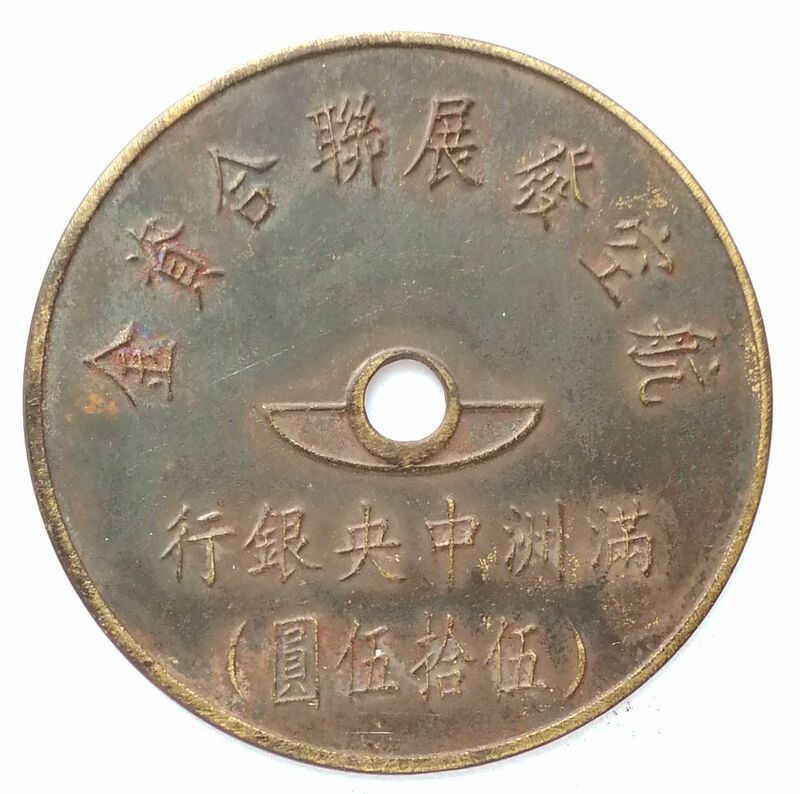 BT510, Manchukuo United Aviation Development Fund, 55 Yen Token, 1945. Please refer the picture, issued as token, not printed on paper money. Issued by Manchukuo Central Bank.